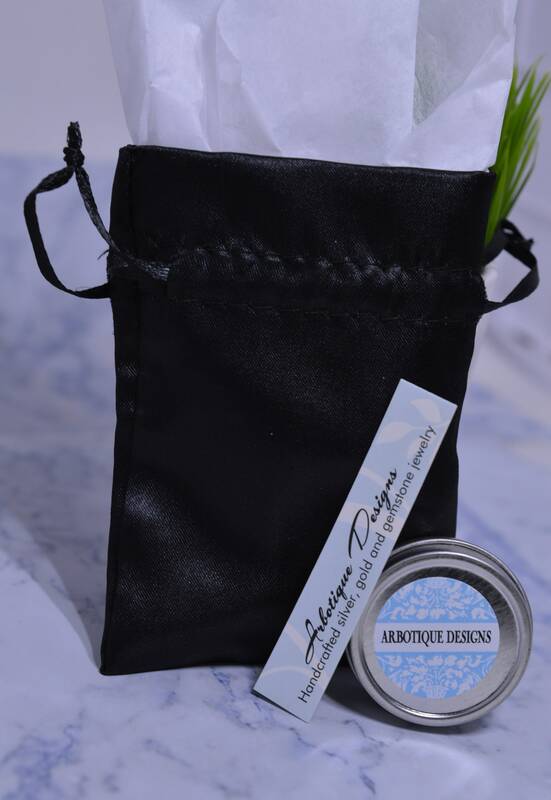 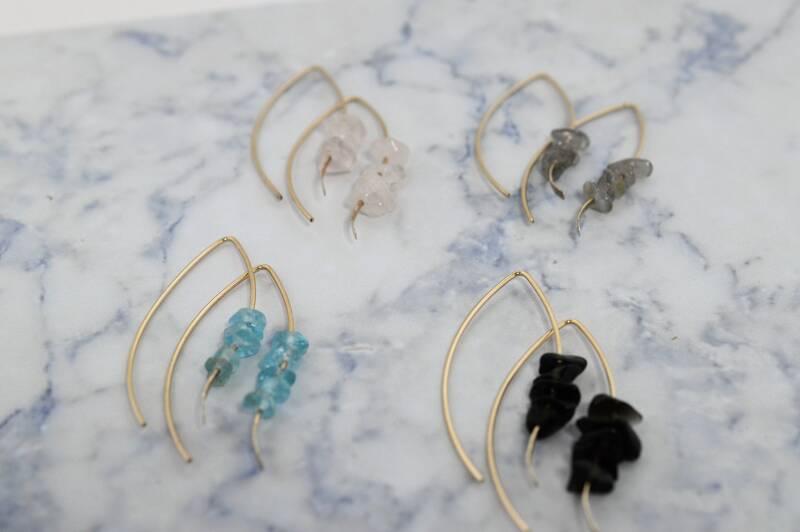 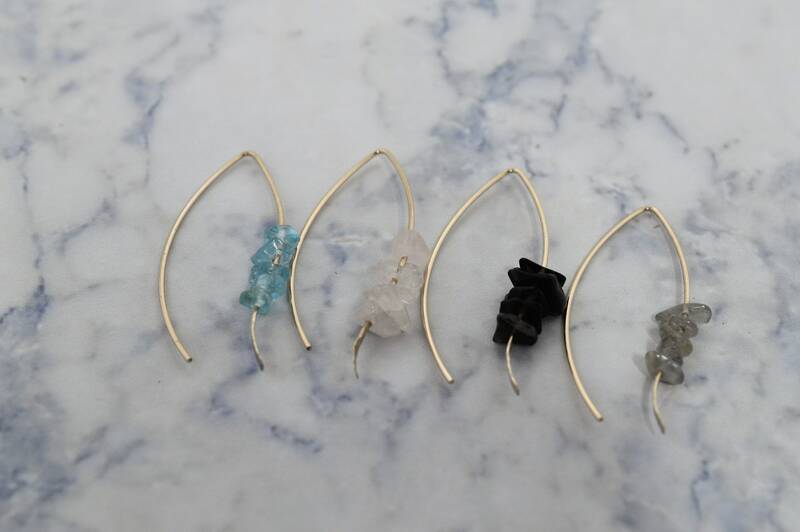 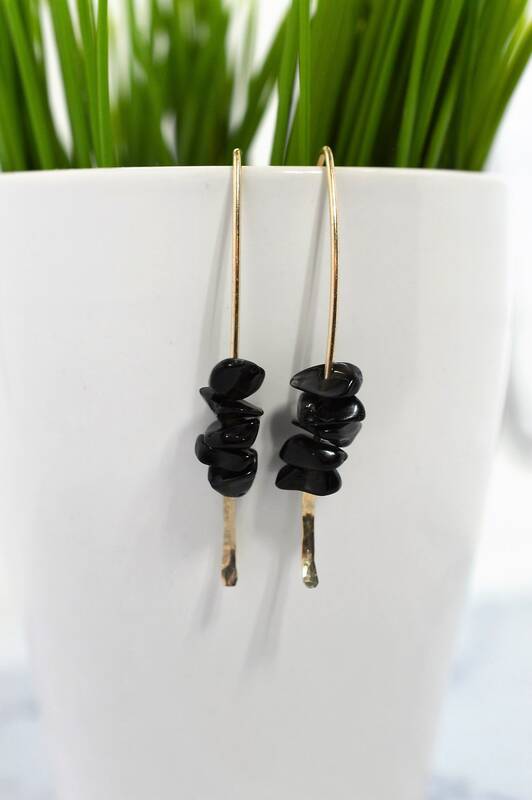 Sophisticated and boho chic at the same time, I just can't get enough of these gorgeous marquis earrings! 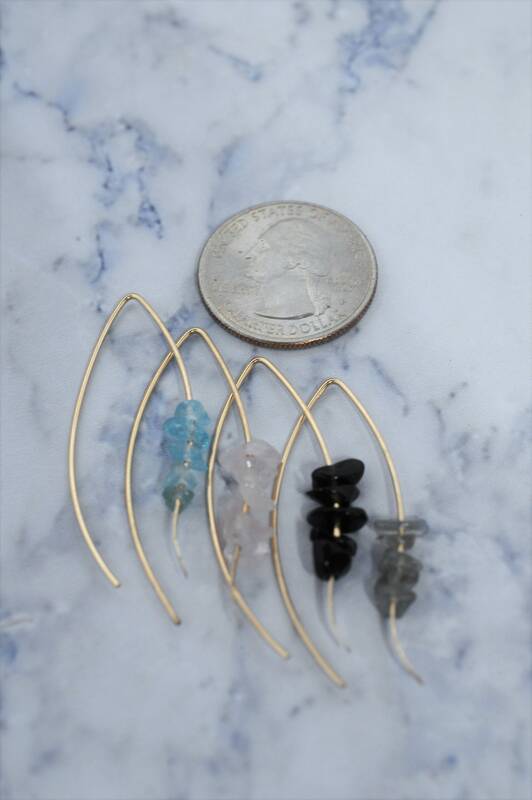 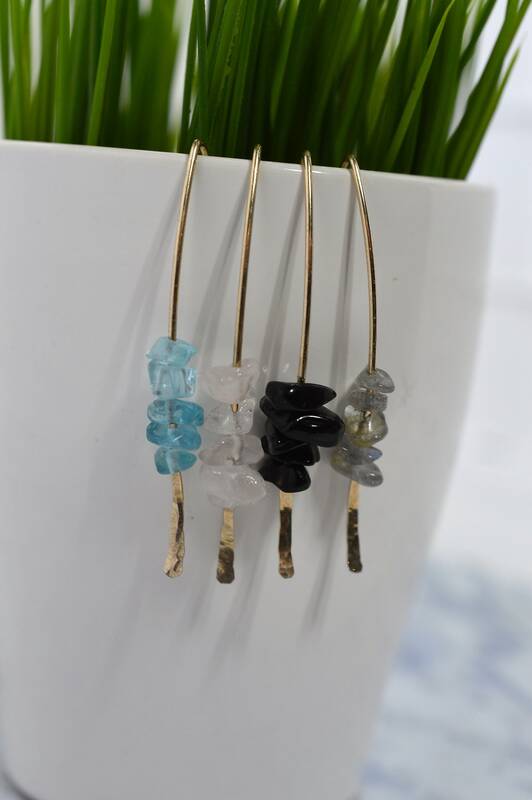 That's why I had to make them in 4 different colors...obsidian (black), apatite (blue), labradorite (gray), and rose quartz (pale pink). 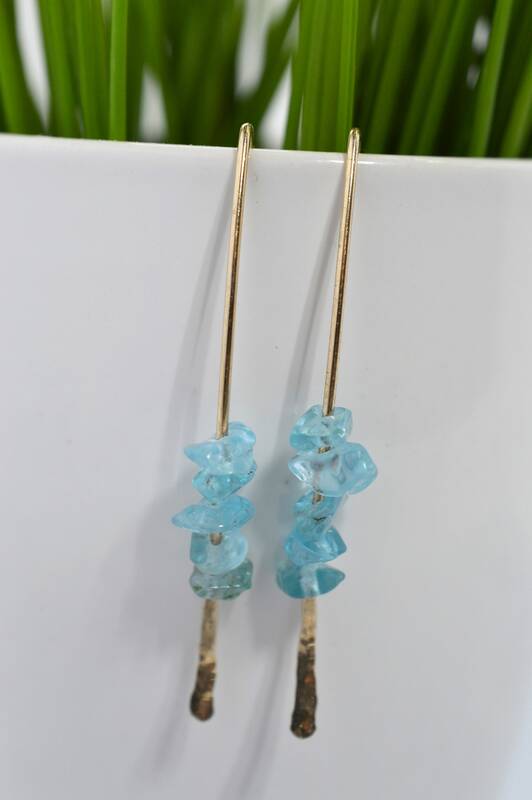 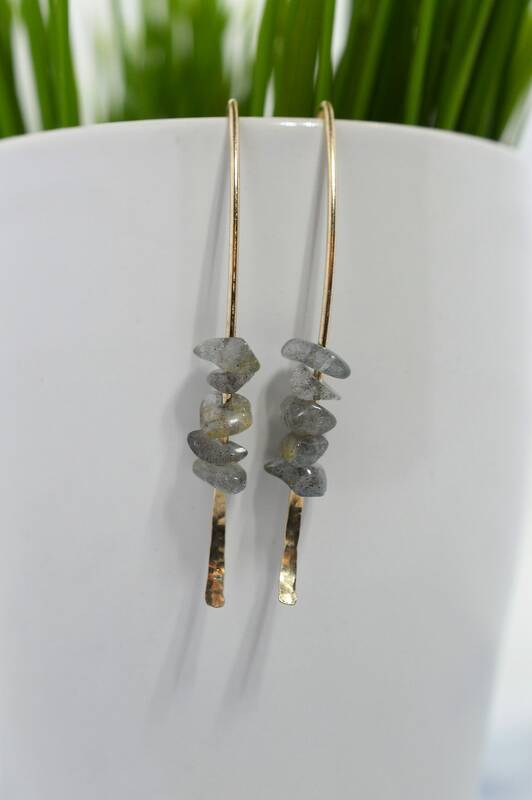 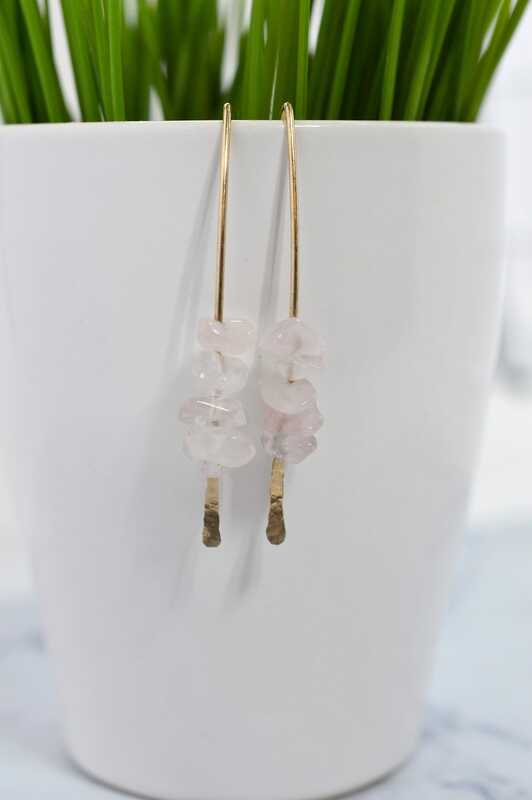 Earrings 43mm long and are gold fill and natural gemstone.